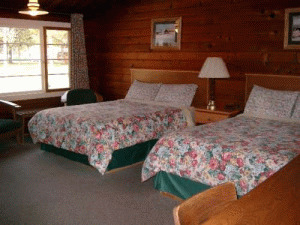 Located in beautiful Jasper National Park, only 3.5 kilometers South of the town of Jasper on Highway 93, is Jasper House Bungalows. Secluded and peaceful on the banks of the Athabasca river and sheltered by Whistlers Mountain, home of the Jasper Tramway, Jasper House provides the ideal setting in which to enjoy the true Canadian Rockies experience. With walking trails leaving from your front door and hiking trails nearby, it is the perfect place to experience the beauty of Jasper National Park. 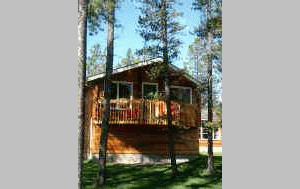 We offer 56 modern and immaculate cedar log cabins. Styles vary from duplex and four-plex cabins to rows of ten standard rooms to our executive suite in it's own building. Each unit is self contained with color satellite television, coffee makers and hair dryers. For your convenience we have several public telephones on the property and a guest laundry as well as vending machines accessible 24 hrs a day. 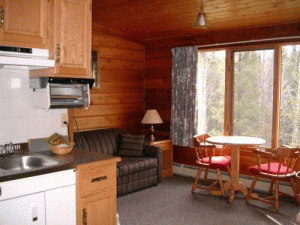 Please visit Jasper House Bungalows Website.